Sorry, Jack, Chucky's back — and he's looking even creepier than we remember. 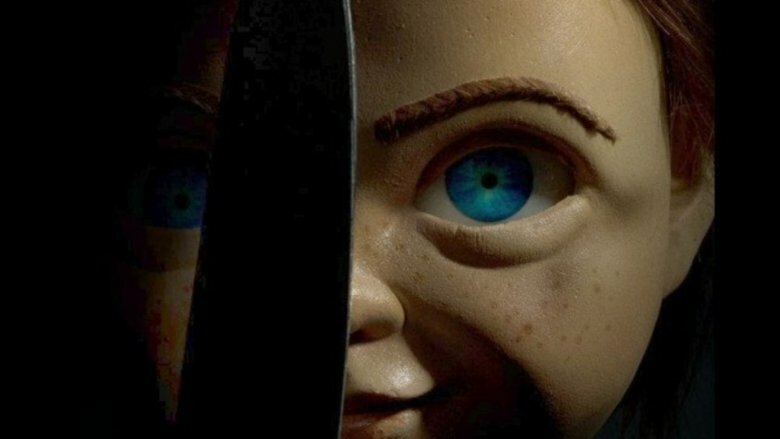 In case you were unaware, the 2019 edition of Child's Play comes courtesy of Orion's parent company MGM, which holds the rights to the original 1988 film — but none of its sequels, which is why series creator Don Mancini is still rolling on with the original series. The most recent entry was 2017's little-seen (and underrated) Cult of Chucky, and the director is also moving forward with a SyFy original series — simply titled Chucky — despite, or perhaps to spite, MGM's big-screen plans. The reboot was helmed by Lars Klevberg (Polaroid) from a script by newbie screenwriter Tyler Burton Smith (who wrote the video game Quantum Break for Microsoft). It stars Aubrey Plaza as well-meaning mom Karen Barclay, who gifts her son Andy (Gabriel Bateman) with the hottest-selling gift of the year, a gift which just happens to be a bit more murder-y than your typical birthday present; also, it's just recently been revealed that the voice of Chucky was provided by none other than Mark Hamill, whose voice acting career is the stuff of legend. He may be always and forever known as Luke Skywalker, but to a certain subset of fans, he's also the guy who gave us one of the greatest portrayals of iconic Batman villain the Joker in any media — making his casting as the most infamous killer doll in film history look like an absolute stroke of genius. As if that weren't reason enough for horror fans to be psyched, we now have this image, which… well, is highly unsettling. Chucky's facial features have been revamped significantly from the doll's original iteration, which honestly would have scared the hell out of us from the get-go as kids. This Chucky looks kinder, gentler, all the more likely to insinuate itself into your child's life as their friend to the end; and yet, there's that mischievous, almost malevolent glint in those red eyes, perfectly matched by the glint coming off the blade of that enormous freaking butcher knife the doll's packing. It's an image that definitely leaves us wanting to see more, and fortunately, that's going to happen very soon. In conjunction with the Chucky reveal, Orion also announced that a full trailer for the reboot is coming our way this Thursday. 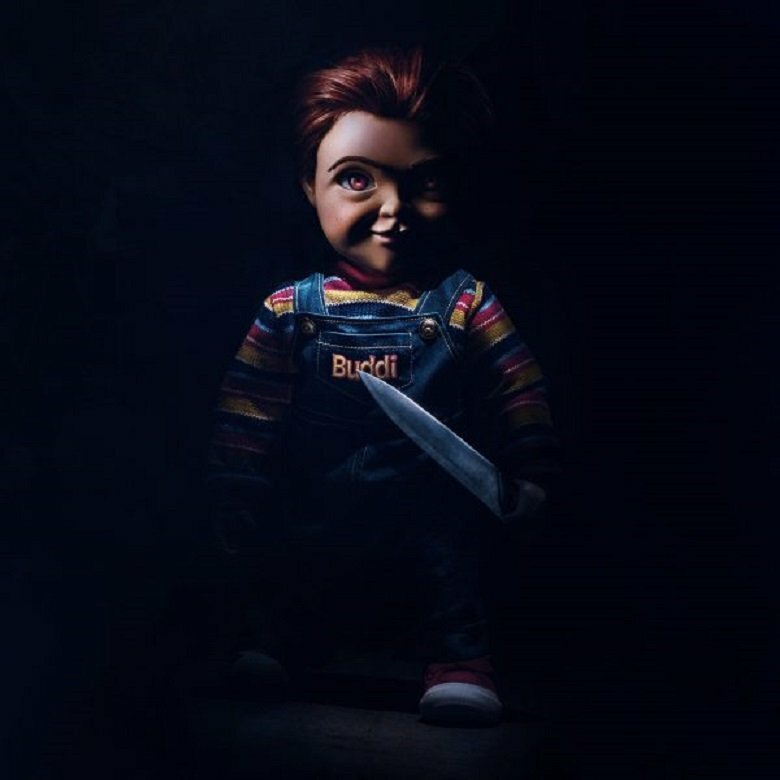 You can bet we'll be here to break it down for you, as well as any other Child's Play news that breaks between now and the film's release date of June 21. In the meantime, check out the freaky new image below.